Adina Watches, an Australian family owned and operated company, has made the 2019 Polocrosse World Cup its first major sponsorship in its 48 year history. Not only is Adina financially supporting the event, but it is creating a one-of-a-kind watch for every player and team manager, as a lasting symbol of their involvement in one of the most elite horse events in the world. We interviewed General Manager, Grant Menzies, to find out more about the company, its product, and its connection to the sport of polocrosse. The Adina story starts with Grant Menzies’ grandfather, who managed the Queensland jewellery wholesaling house, Willis and Sons, back in the 1960s. Being well respected in the industry, he was able to secure his son, Bob, a watchmakering apprenticeship at Langford’s in Brisbane when Bob left school after completing Year 10. Langford’s was a Rolex agent, and Bob spent his apprenticeship working on high quality watches and learning to appreciate their beauty and intricacies. After 10 years working for Langford’s, a friend of Bob’s came to him with a business idea. They would import watches from overseas and Bob would be responsible for sales and repairs. In 1971, having never left Australia, Bob flew out to Switzerland to attend the largest watch fair in the world. Enroute he visited a factory that produced watch boxes which he would need for his new watches but indecently also produced dials and cases. Here at this factory he met a Swiss national who suggested that Bob should forget about importing completed watches and instead import the components and make his own watches. This idea appealed to Bob, who loved the craft of watchmaking, and so he placed his first order of cases and dials there and then. Bob set about sourcing quality parts and advanced technology from across the world, but was adamant that all the movements come from Switzerland. He would then put the watches together by hand at night from a small storeroom in the family home, and sell them by day under the brand name, Rolma. In 1973, the brand name was changed to Adina and this name is now synonymous with quality, sophistication and robustness in Australian watches today. Adina’s reputation started to spread, primarily through word of mouth recommendations from customers and jewellers, and business started to boom. In the mid-1970s, Bob expanded from the home storeroom to an office in the city before setting up his first true workshop in Woolloongabba on the outskirts of the Brisbane CBD, which allowed him to employ apprentices to help with the growing demand. Over the next 10 years, Adina expanded its focus beyond Queensland, to the east coast of Australia. When Grant joined the business in the mid-1990s, he was keen to expand the business to all states of Australia and overseas – and he certainly walked the talk! Grant got in his car and drove from town to town, introducing himself and the Adina brand to retailers from northern Queensland right down to Melbourne. This resulted in the company’s biggest growth in its history and saw Adina become a nationally recognised brand. Grant says that this time was “great” for his personal life, but it needed to be done in order to grow the business in a time before email and the internet. “We were focusing our brand on regional and rural Australia, and I knew how important relationships were in these communities,” Grant said. “By this stage we were making around 30,000 watches per year and had a team of apprentices and watchmakers to help. Dad was still watchmaking and teaching the apprentices the way he wanted to, with a focus on quality craftsmanship, precision, and passion for producing the best work possible. Today we have a network of 350 retailers nationally with strong distribution in every state, have recently launched into South Africa, and we are committed to, continue to grow both nationally and internationally into the future,” Grant said. So why would a premium watch brand align with the rugged sport of polocrosse? According to Grant, the synergies between the two are stronger than they may seem! “Like polocrosse, the Adina brand is Australian made, has a strong regional presence, is rugged with finesse and style, and has strong links to family,” Grant said. “The case and bracelet is plated ionically in rose gold to represent Warwick, ‘the rose city’, and the dark blue dial signifies the endless blue skies of rural Australia where polocrosse heralds from. Personalised design features include the ability to see through the back of the watch to the automatic movement and the very subtle polocrosse logo hologram at 8 o’clock. There is a powerful intrinsic value in using watches to commemorate milestones and events and the meaning this has to watches’ owner,” he said. Grant describes the company’s first major sponsorship as ‘scary exciting’, saying that taking the step to be the naming rights sponsor was a leap if faith into the unknown for Adina. 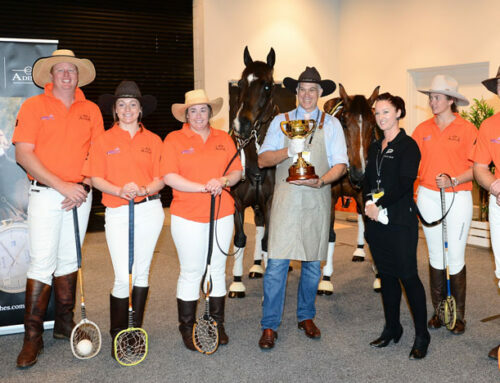 “The 2019 Polocrosse World Cup is the first time we have ever participated in a major sponsorship agreement, but this event seemed like the perfect time to start given our passion for regional and rural communities,” Grant said. 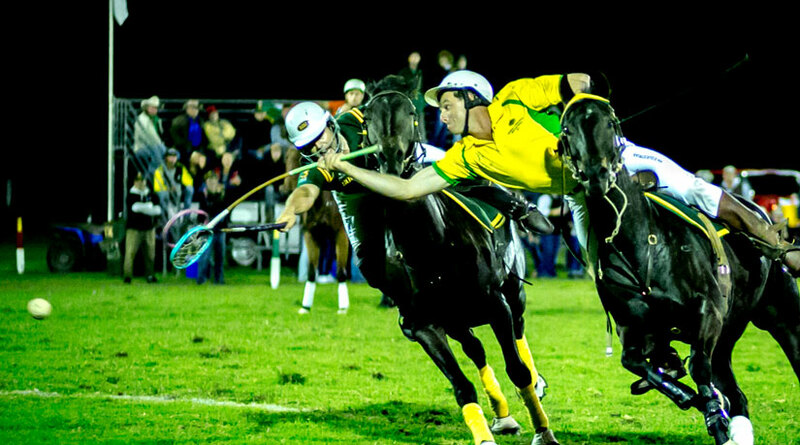 “I love sport and I can’t wait to see polocrosse being played at the most elite level in Warwick. Sport at the highest level brings out the best in competitors and spectators. I’m also looking forward to having a beer and a chat with our customers. Warwick has had an Adina retailer pretty much from day one, so we feel like we are coming home!” he said.